Something that has been bugging me for years... Why is it, that in the early run of Sandman, there was an attempt to integrate it in the DC Universe, with the JLA appearance, but later on in the series (admittedly, after Vertigo had been established), instead of using Bizarro Superman and Lois Lane, you made them Weirdzos, almost as if you couldn't use the official DC version? That had more to do with it being sort of in the DC Universe than it not -- after all, it might have been odd if the Superman comics in the Sandman world talked about Bizarro Lois Lane and so forth. But as originally written and lettered I actually had it as Bizarros (and, I think, Superman comics and characters) and changed it at the request of editor Mike Carlin. 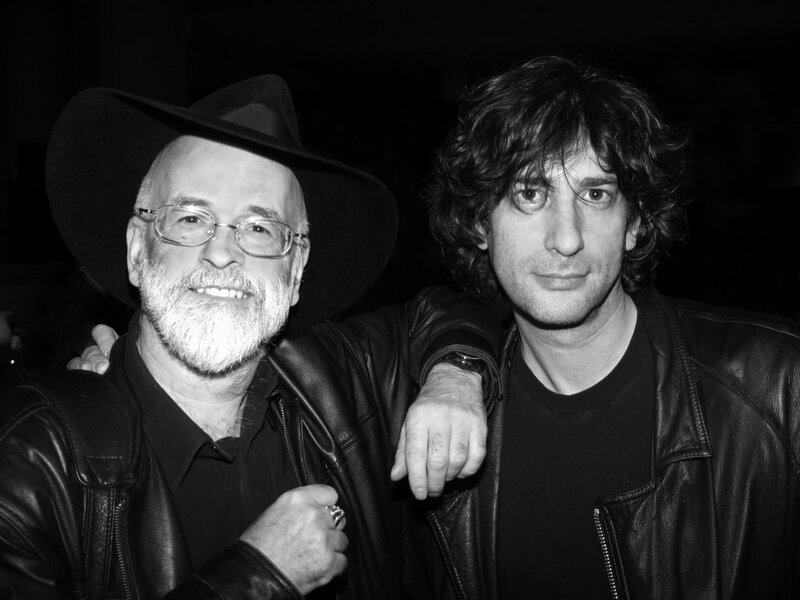 Mr. Gaiman, just a note to remind you that the Readerville discussion of Stardust opens tomorrow! We're looking forward to seeing you there. That's http://www.readerville.com/, for the curious. A very nice, book-y sort of a place. Looking forward massively to Wolves - just wanted to add that there's an interview with you up on the NTS website now (http://www.nationaltheatrescotland.com/content/default.asp?page=s3_1), and how nicely it all fits with the campaign to reintroduce extinct wild species (including wolves) into Scotland (here and elsewhere: http://www.bigcats.org/esa/wolves.html). So, "wolves in the walls" is less a pandemonium, and more of a prediction? Also, are you coming back over to see it on stage for real? Though in the NTS brochure, it says that NTS/Improbable are aiming to take the show on tour internationally from spring 2007 as well as further round the UK in autumn 2006, so I guess there will be opportunities closer to you. It's still below freezing, day in and day out, and the world is getting cabin fever. Or I am. Very sorry to bother you with this, but I submitted a similar question to the "site query" a while ago and haven't heard back. I tried using the search function on the new blog to look for your original comments on M. John Harrison's Light. I'd found them once just before the changeover using the old google search function on the old blog. No results this time. Also tried keyword laptop to find the comment about your new laptop and the results were a series of photos of you at signing events over the years. Not at all what I was expecting. It's very frustrating, isn't it? When it was decided that I'd get to keep blogging in Blogger, apparently that meant the site's new search engine wouldn't find anything on the blog any longer. Then for a few days there was a Google search engine up on the Search page, but for some reason it went back to being the other search engine, and there's no kind of warning that it doesn't search the blog up there. Searching the blog is still really easy -- just go to www.Google.com, or a google toolbar, and type site:neilgaiman.com and follow it with the word or words you're looking for -- Harrison Light or laptops or whatever. Mr. Gaiman, one thing I have long since wondered about, but have never found an adequate answer. Maybe you can help. How many words comprise a "Novel"? I have asked this question to English professors, other writers, and just about everyone in between, and I have never received a satisfactory answer. Please help. And keep writing. Your work inspires me more than anyone else. Even Stephen King. A quick Google tells us that if you're talking Awards Categories, if it's a mystery and it's up for an Edgar, it's a novel if it's over 22,000 words, while if it's a Romance it's 25,000 words for a YA, and over 40,000 for most other categories. In SF and Fantasy it's over 40,000 words to get a Hugo or Nebula for Best Novel. Lorraine and I spent some of today going through various tubs and boxes in the attic and the basement, looking for Sandman stuff for the forthcoming Absolute Sandmans. Back when they shot the original art to make the black plate for the comics, sometimes it was over- or under- exposed, and either the blacks would join together and fill in, and we'd lose detail, or the finer lines would vanish completely, and we'd lose detail. Luckily, I kept everything I was ever sent -- or tried to. Lots of stuff has been sent back to DC Comics over the years for the various Companions and suchlike, and it hasn't always returned safely, so some things have disappeared. But the photocopies of the issues have mostly been kept, and they are, on the whole, good, clean, crisp black and white photocopies of the art, with clean black-on-white (as opposed to the white on black in the comics) Morpheus word balloons which means that we don't need to redo the ones that have closed up. But finding them, that's been the challenge. Still,　there's a lot of serendipity about, when you go rummaging through old tubs of papers. Every now and again I'll run into something I thought lost forever -- comics pages I wrote and drew when I was about 14, for example, or the drawing lesson Dave McKean faxed me before I began my 24 hour comic -- and I'll be pleasantly amazed. Mostly it makes me wish that I had a couple of months to do nothing but go through stuff. I think I'm going to reprint a few stories that have never been reprinted for the 2007 short story collection for kids I'm planning (Ray Bradbury said that he didn't mind if I called it M is for Magic, which is my tip of the hat to R is for Rocket and S is for Space, bless him) and I know that it'll be back to the tubs again for that. Over at Locus Online -- http://www.locusmag.com/ -- there's a few interesting links. There's the extract from their 1991 and their 2005 interviews with me and Terry Pratchett up, for example. There's the locus poll and survey and the online-only SF poetry poll. And then there are the things you find out about from their sidebars, like this terrific interview with Poppy Z Brite. And, probably like many authors, I watch the reports of the current Da Vinci Code - Holy Blood, Holy Grail suit with interest. (Here's the Guardian on the first day in court.) I kept thinking there was something familiar about the case, and finally realised that it was similar in many ways to when my old friend James Herbert was sued by Trevor Ravenscroft, the author of (the sort of non-fiction) The Spear of Destiny over what Ravenscroft felt to be copyright infringements in Jim's novel The Spear. A Google showed the court case mentioned in this Bookseller article, and in this case summary. One of those hypothetical questions :-p If you had to choose between working on comics and working on straight forward literature, which would you choose? Do you feel like one is more effective than the other? Thanks. When I'm working on a novel I try and write every day, and I'm perfectly happy as long as I've done over about 1500 words. HOWEVER: The Books of Magic was a pretty okay book I guess. Okay fine it was rockin'. I hate that I cannot bring myself to hate you, Neil. That would be the non-speaking Garfield cartoons I linked to at www.truthandbeautybombs.com? Sorry about that -- I didn't mean to send people there to crash your forum. In my defense, that's one of the advantages and disadvantages of the internet -- if something interesting gets discovered or linked to, it can go wider than anyone ever expected, and the next thing you know thousands of people who never knew that your site existed are stomping around, staring at interesting things on it, or downloading your song or your video, or whatever. And raging at people who point out that something's interesting and link to it isn't going to stop that happening again. Probably the best solution is never to post interesting things, and to stop other people doing it. If you're in Manchester on Friday, there's a screening of MirrorMask with a Dave McKean Q&A afterwards. It's SUNDAY TELEGRAPH day, it seems. I just noticed S. F. Said has done a feature on Dave McKean and Mirrormask, with an interview with Dave McKean and a little sidebar on me -- you can read it here, while there's an interview with Julian Crouch about the Wolves in the Walls here. Vicky Featherstone tells me that the first two days of WOLVES in Glasgow have already sold out, which I mention mostly to remind anyone reading the blog who wants to go and see it in Glasgow or in London, that it's probably wisest to book your tickets early if you want to go to a specific performance. http://www.improbable.co.uk/show_example.asp?item_id=14 is the Improbable Theatre link. And the National Theatre of Scotland has its own website (here's the WOLVES page -- http://www.nationaltheatrescotland.com/content/Show_Wolves.html) and it's the NTS website that the first pictures from the show will show up on, so keep an eye on it. The Lyric Hammersmith site has an interview with me at http://www.lyric.co.uk/images/event/NeilGaim.pdf and its page on the show is at http://www.lyric.co.uk/pl150.html (the captioned show, for the hard of hearing, is the 27th of April). Steve McGinty, who is one of those journalists like Nick Hasted or Michael Bonner who I've now been chatting to, on and off, for the best part of 20 years, and so the interviews tend to feel like conversations strobed across the decades, has his interview in the Scotsman today, at http://news.scotsman.com/features.cfm?id=290282006. Not a question, just a note that on Monday 27th February at 11:05pm BBC1 Film 2006 with Jonathon Ross will be reviewing Mirrormask for its UK cinema release. Thanks. Fingers crossed he likes it. My default laptop is a Panasonic W4, and I chose it because it doesn't weigh anything much, which makes it great for travelling around the world carrying a computer. I got it from http://www.dynamism.com/ and I notice that there're now even lighter models out there. I've seen some glorious character sketches and designs (JR talks about it here), and I'm writing it now. As we speak. This moment, doing that thing where you sort of just write down tons of dialogue and what happens, and hope that you can go in and turn it into scenes and panels afterwards. Mr Curry has just discovered that the noise out on his balcony isn't the missing cat. Hey Neil, I'm thinking you've probably already seen this floating around someone's blog, but if not, I thought I'd bring it to your attention. Bill Joyce drew a cover and wrote an article for the New Yorker about post-Katrina Mardi Gras in New Orleans for this week's issue, and both got bumped because of the Vice-President's recent little adventure in hunting. The De Carabas one will be a story (called, oddly enough, How The Marquis Got His Coat Back) if ever I finish writing it. Orpheus's earring is an untold story that I never found room to tell. The earring found its own way home, though. I wish I could help, but I'm the wrong person to ask -- the best I can do is point you at the Pinewood Studios site. When I was a young journalist SCREEN INTERNATIONAL would have a list of what was filming where in the UK in the back, with production office phone numbers and the rest. I don't know if it still does, but it's certainly worth checking. Just got off the phone with Matthew Vaughn. I've spent the last couple of days out at the cabin, writing stuff. Just finished a novelette (I think that's what they're called -- it's a 10,000 word short story) that's both a story for a story collection edited by Jack Dann and Gardner Dozois called Wizards, and Chapter (I think) Four of a children's book called The Graveyard Book. It mostly got finished because, when I'd written a little of it, and thought it was rubbish, I read some of it to Maddy, and she really liked it and wanted to know what happened next, so I had to keep going. Never underestimate the effect of daughters on literature. I ought to go back to the cabin tonight and keep writing, but I've just been told that there's a conference call I have to be on tomorrow morning, and seeing one of the good things about the cabin is that cellphones almost don't work out there, I think I'll sleep in my own bed tonight. The weather in this part of the world can sometimes change the way you think in peculiar ways. Take, for example, your correspondent this morning, looking at the outside thermometer on the kitchen wall, and beaming. "It's nine degrees," I announced happily. "Brilliant. It's warming up." (That's minus 13 C). Last night, according to the thermometer, it went down to minus twenty-one (-30C). When it's that cold outside the cold creeps into your bones, and going outside becomes more than a little problematic, and yesterday I didn't leave the house and crept off, with black long underwear beneath my jeans, to write in the attic. I’d have to say that Baghdad isn’t exactly doing all that well. I’ve flown over the central city several times via Blackhawk……and I don’t think this city looked nearly this much like Detroit after a championship loss (or win, for that matter) twenty years ago. There doesn’t seem to be a single block w/out destruction visible from the air. It isn’t just the damage we’ve done (although we have done and continue to do our share)…. It’s the IEDs….the mortars….the destruction of water treatment plants by AQIZ so that people won’t have any potable water….the destruction or simply the overload of sewer lines, so that sewage runs in the streets—that is just as likely to have been caused by too many people having crammed into a small area as a terrorist blowing up a plant or by our tanks having driven over pipes. The utter lack of garbage pickup…..which if someone suggests it, leads at best to twice-weekly neighborhood burns. Hence the phrase you may have seen elsewhere re Baghdad burning—one never knows if those plumes of black smoke are from the aforementioned IEDs, mortars….or mass garbage burnings. Things are burned for light, because there is only electricity a few hours out of 24 after the bad guys have taken out the power lines or even power station again. Burned for heat, because there isn’t enough kerosene during this cold (definitely below freezing at night!) weather. Roads: overpasses crumbled, due to poor infrastructure to begin with (and no-one keeping it up) or a VBIED or (once again) tank traffic. And really, now—there are multiple explosions every day. These explosions usually kill or injure someone; they *always* cause physical damage where they are located. Having said all that, much is being rebuilt and/or built in the first place. The city wasn’t built so very solidly in the first place, and the population explosion (two thirds of the population of Fallujah came here, for example – does anyone really think they *all* went home afterwards?) combined w/ongoing damage makes it occasionally feel like the tide comes in on a regular basis and wipes out everyone’s efforts….. So I guess I can understand where the good captain was coming from, I just don’t want people *underestimating* what the residents of Baghdad are facing. If he isn’t going out in the streets, and is passing judgement based on the buildings of Victory Base Camp…..well, he isn’t seeing their lives. I’m not outside the wire much, but I pay attention to what I can see and what people are saying. That’s my rant, I’ll stop now. This will be a beautiful city and great tourist destination someday. Really it will! The most incredible full moons over sparkling waters, reeds lining the canals, glittering lights leading up to mosques…. And skies that can go on just forever, at night with stars so sharp they poke your eyes. Looking at the last page of Sandman 50, while the kid is clambering across a bomb-site, the intact buildings and power lines in the earlier panels was meant to indicate a city that was still standing, not a wasteland, but I can see how people might assume that the rubble he's climbing over in the last panel was meant to represent the city; it wasn't. I definitely want to get more variety added to the site design. For now, we're still focussed on the content -- there's now a sitemap (at http://www.neilgaiman.com/sitemap), and more video content at http://www.neilgaiman.com/exclusive/Video, but there are strange mysteries (I don't understand about the "Contests! Win Free Stuff Here!" part of the site. And I don't know. It may never have found a publisher. Sometimes that happens. Right now I'm just glad that Soft Skull are going to be reprinting The Good Fairies of New York, and hoping that it works for them and they bring a lot more of Millar's work back into print. The Quotable Neil site is filled with useful quotes for writers this week. Some years ago I posted a link to a video made from 15 second camera films of a song by Fredo Viola, called Sad Song. 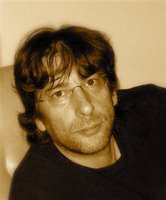 ( In http://www.neilgaiman.com/journal/2004/07/in-which-author-is-briefly.asp). There was a brief aftermath, in which Fredo found himself with an unexpected bill for many thousands of dollars because of the web traffic, although on the good side he also wound up with some unexpected gigs making film music and suchlike because of it. He's just done his first live gig, and has film footage of it up at http://www.fredoviola.com/dactyl.html. Hey Neil,It's entirely possible I missed this, but I can't seem to find it, either on your site, or in any information from DC.Will the Absolute Sandman books also feature the 2 Death books, Dream Hunters, and Endless Nights (Dust Covers? ), or will they be strictly the original series?Much thanks,-Kev. Absolute Sandman won't include the things you've listed, but it may include stuff that hasn't been seen much before now. I suspect the Death books will wind up, along with some other content, like the Jeff Jones short story and the Death Gallery, in an Absolute Death, in a year or so. Marcus at Blackwells sent me a tape of the Lenny & Me Event last November, along with a press-out TARDIS, which Maddy took great joy in assembling last night. We're starting to get serious about the podcast page, instead of just putting up links to audio stuff. Michael Zulli let me know that he's revamped his website at http://www.michaelzulli.com/main.htm. He didn't as me to mention that he has three new oil paintings up on eBay, but I shall anyway -- click here to check them out. Which makes it a bit of a bargain, actually. Nope. No new text or footnotes, although we fixed a few typos that had crept into the Ace edition over the years. The book's still the book, unchanged. The new material is an introduction, an FAQ, a thing on Terry by me and a thing on me by Terry. 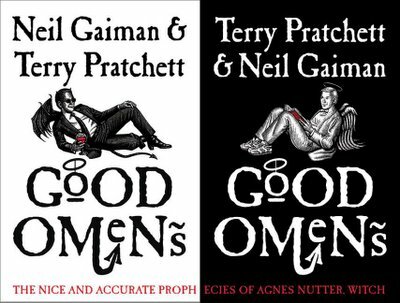 There are plans afoot for not one but two audio versions of Good Omens, one in the US, one in the UK. As I know more, I'll announce it here -- look for them towards the end of the year. Dear Neil, I'm writing this with concern for your well being. I hope you're not suffering from a medical condition known as the George Lucas Syndrome. The most obvious symptom is the compulsion to endlessly go back to work you've done in the past to change and fix things. There's no cure for it so far, we can only stale the progression with high doses of angry fan mail, although the results are inconclusive. You might say that this being your work, you can do whatever you want about it, but you see, that's another one of the symptoms. I hope I'm not being presumptuous or offensive.This is about the Absolute Sandman and the things you're "fixing" in it. I'm just pointing out that if you change anything in the text that's more than a typo, someone out there might care about that particular quote and be upset with its modification. I could give you many reasons why Vader's original "Bring me my ship" was a lot better than "Tell them to prepare the ship for my arrival", as an example. If anything needs to fixed, it will be. We're recolouring the first 18 issues, and may do some colour fixes beyond that (Brief Lives is particularly problematic, not because Danny's colours were bad but because the colour separators in Ireland didn't follow instructions.) There are a lot of Morpheus word balloons that are hard to read that we may simply have Todd Klein re-letter, for example. But nothing's going to be "improved" or rewritten or even changed, if that's what you're worrying about, unless it was an error at the time and we simply couldn't afford to fix it then. Incidentally, the stories will be going into Absolute Sandman in order of publication, wherever possible, so the short stories from Fables and Nocturnes will be back in the places they came out, rather than all together in one place. We've chatted about it in the past -- Fantagraphics wanted to do a Sandman script book about ten years ago. One of the reasons it's never happened is that there aren't any copies of the scripts to Sandman #2 or Sandman #5 in existence as far as we know. (And there are only paper copies of Sandman #1 and #4, although that's not really a problem.) Scott Nybakken suggested reprinting the script to Sandman 19 (Midsummer Night's Dream) in the back of the first volume, and I expect we will. Here's Stewart Lee's diary on the problems with taking Jerry Springer: The Opera on the road. February 3 In my new capacity as sin-eater for the religious guilt of the entire world, I fulfil a lifetime's ambition by appearing on the Today programme, with a member of the Muslim Council to discuss the Danish Mohammed cartoon controversy. Everyone's anxious to draw parallels with the opera's persecution by the Christian right, but the Danish cartoonists wandered into a world of protected religious symbols they didn't understand. We have used a set of icons whose implications we appreciate, within a tradition of Christian imagery. And you can now buy Virgin Mary snow-globes in Vatican Square, so it's a bit late to start getting all protective. I heard from an old friend that the Protestant Cemetery in Italy, burial place for Shelley and Keats (among others) is literally crumbling and may have to close its gates for good -- here's the article http://news.yahoo.com/s/afp/20060213/ts_afp/afplifestyleitaly and here's her livejournal entry, with glorious cemetery photos http://maudelynn.livejournal.com/285199.html. Right. Off to trudge through the snow and write some more. I'm sure that as he works his way through the book, he'll need more pages from later (especially Sandmans 15 and 16). 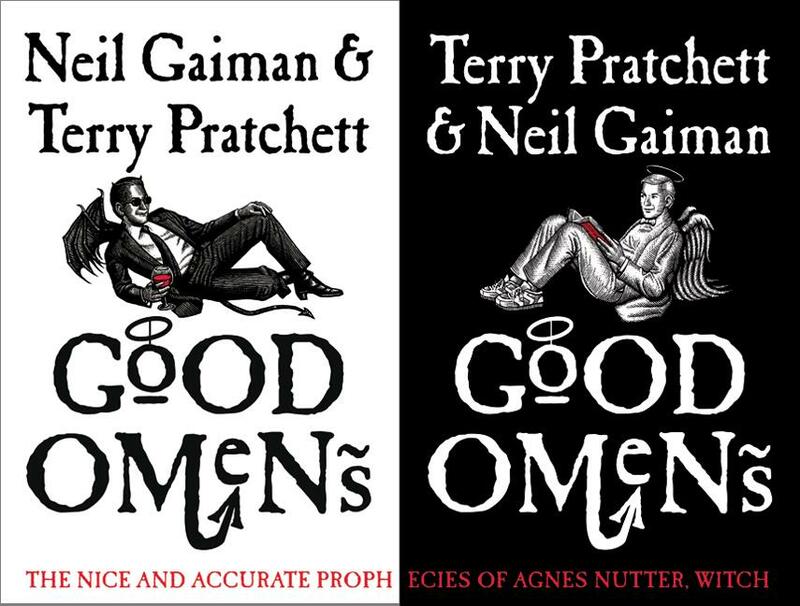 And my preview copies of the new editions of GOOD OMENS arrived today. Two beautiful books with red endpapers (and a picture of Aziraphale and Crowley on the endpapers, for people who buy the book with the other one on the cover) and rather a lot in the way of additional material. Here's a picture of both covers side by side. Publication date is the 28th of February, but I'm sure copies will trickle out early. And I see that my friend Amacker Bullwinkle is in trouble again -- http://sfgate.com/cgi-bin/article.cgi?f=/c/a/2006/02/15/BAGCJH8EI11.DTL. Go Amacker. Yay pillowfights. Writers of fiction and nonfiction inevitably incorporate trademarks into their work, sometimes to comment on the particular business using the trademark, but frequently the use is merely incidental to the nonfiction or fiction writer's story ("Tom went to a McDonald's, had a Coke, and waited for the Harley to arrive."). Just as fair use provisions of copyright law permit writers to make certain uses of copyrighted works in their own works, so do fair use and related provisions of trademark law permit writers to use trademarks in their works. One of the important protections for writers using others' trademarks is section 43(c)(4)(B) of the Lanham Act, which excludes noncommercial and news reporting uses from several types of liability under trademark law. The new law would weaken these protections, exposing writers to greater potential liability for their use of trademarks. ...and speaking as someone who would like people to exist in a world in which trademarked products can be mentioned in fiction, I'm concerned. It's an honourjusttobenominated. And in such illustrious company. Hey, Neil. Facebook says that you're on the faculty of UChicago. Is that you or just someone else with the same name and using your picture?Also, are you ever going to write a story around that Sandman line about a man inheriting a library card to the library of Alexandria? I'd love to read about it and I know I'm not alone. Well, I suppose technically I'm a University of Chicago Presidential Fellow in the Arts from last year, but no, I don't have a Facebook account. And one day I may, or the story might just live in people's heads and slowly grow itself. I don't think the extras in the trade paperbacks wil be repeated in the Absolute Sandman volumes, mostly because I'd assume people probably have the books with the introductions in. We're looking at putting new stuff in, and we're not yet sure what it's going to be -- I'm going to try and find things like the original proposal and notes, perhaps the script to Sandman #1 for the first volume. Right now Danny Vozzo is recolouring the first 18 issues of Sandman to take advantage of modern printing techniques and to fix things we weren't happy with at the time. It's going to be a four book set, by the way, of about 600 pages per book, and I believe they'll come out over a couple of years. It's worth remembering that Ramadan was written and drawn in 1992, after the Gulf War, not during the current events, and that it was drawn back in the days before Craig Russell could simply have done a Google Image search for Baghdad. I think he did a pretty good job, considering. Oh well. I should be used to it by now. And I hope the Guardian article will behave tomorrow. For now, I can report that the Slingbox is indeed a remarkable toy and a wonderful one, and it works as advertised -- I was lucky enough to have an ethernet connection near the TIVO, which meant setting the Slingbox up was relatively easy (except for having to figure out how to open a specific port in the router, which actually was very simple except for me somehow deleting the house's internet service on the way, but I fixed it), and I can now watch my TV (and more importantly, control and watch whatever's on the TIVO) from anywhere in the world I can get a decent internet connection.